County Monaghan or Muineachan in gaelic means "land of the little hills"
This refers to the numerous drumlins or small hills formed by glaciers during the last ice age. In 1585 County Monaghan was established . It had five baronies one of which was Farney. This is now the nickname given to county Monaghan. The crest show is sculpted and cold cast in brass by Colm Mc Cann. 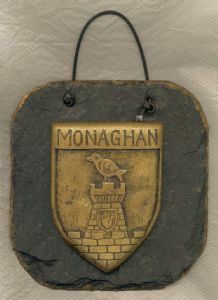 This crest is then mounted onto a slate plaque 125mm x 125mm in size. 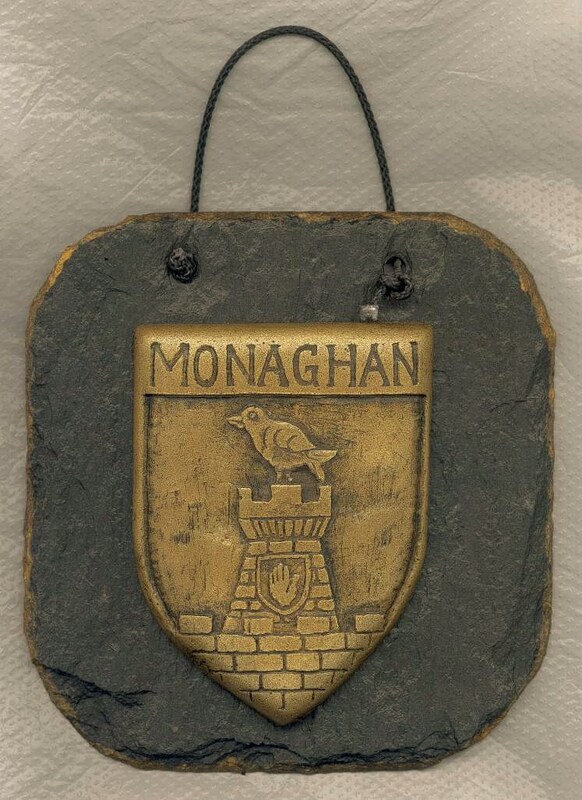 This gift is perfect for anyone who has Monaghan ancestry.